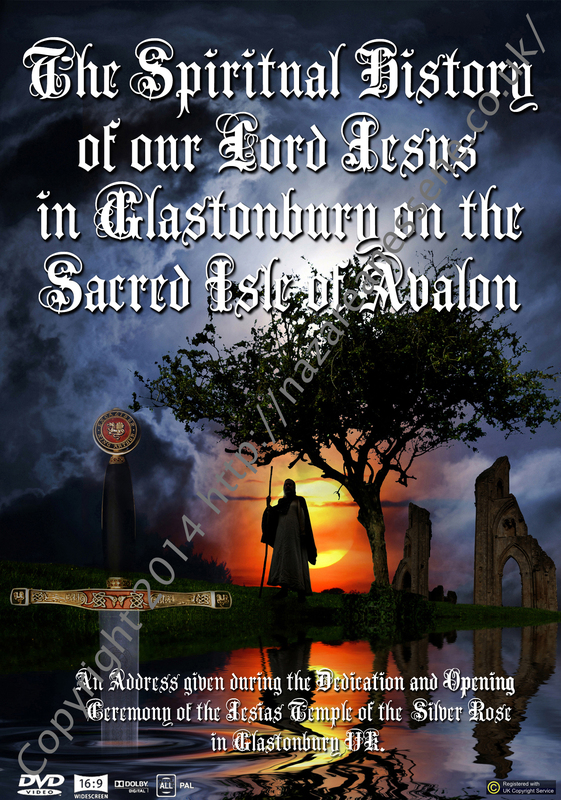 Have you ever wondered, what it is that calls to all of Humankind at some point in their Life to make a Spiritual Pilgrimage to Glastonbury on the ancient Sacred Isle of Avalon? Or why the Planetary Heart Chakra is situated there in the Summerland of the South-West of England? Legend has it, that our Lord Jesus/ Yeshua went there as a Child with His Great-Uncle St. Josephus the Arimathean, built a simple Temple there out of Wattles & Daub, & performed some of His earliest Miracles in this place. This DVD for the first time reveals some of the historical events that led up to those monumental occasions in World History & what followed on afterwards, following The Masters Crucifixion 2,000 years ago upon this all-sainted Isle of the legendary King Arthur & the Holy Grail. “I AM the LIVING GOD, the LIGHT of the WORLD. This film documents an unforgettable historical event that took place on the Summer Solstice of the 21st. June, 2014 on this Mystical Isle of legend. Travel back in time with St. Mary of Bethany, the younger sister of Lazarus that Jesus raised from the dead, & transform former legendary myths & legends into hard concrete facts of Divine Truth, Love & Eternal Wisdom. Mary reveals for the first time Her flight to Glastonbury after the Passion with Her friend St. Josephus the Arimathean, some of Jesus’s Disciples, Her brother Lazarus & others, & how She played a great part in the founding of the first Nazarean Essene Training Seminary Centre in Europe, that later grew to become the World famous Glastonbury Abbey. This evolved some 300 years later in a much altered doctrine to become what we know of today as ‘Christianity’. THE WAY of THE MASTER. Copyright ©2014 The B’nai Amen Temple of the Guardians of Grace Nazarean Essene Order of Mount Carmel, Glastonbury, Somerset, U.K., Rev. Sister Dominic ‘White Eagle Star’ & the Nazarean Essene Order of the Blue Rose. All rights reserved internationally. This work is registered with the UK Copyright Service. www.nazareanessene.co.uk. A Solar Law of Love Production Film Quality HD High Definition, filmed in & around Glastonbury, Somerset, U.K. Double DVD Box Set: £14.95 (GBP) plus postage costs as below.